Once the Wealth Management contract is signed by the client, a meeting is scheduled to gather the client’s financial data. In this meeting, the client will complete a financial planning questionnaire and provide the required data so that asset transfers can begin. 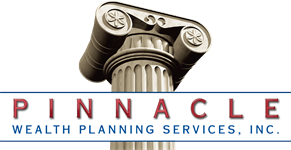 Once the data is organized and analyzed, the balance sheet and financial goals are submitted to the client for approval and financial plan preparation is begun. 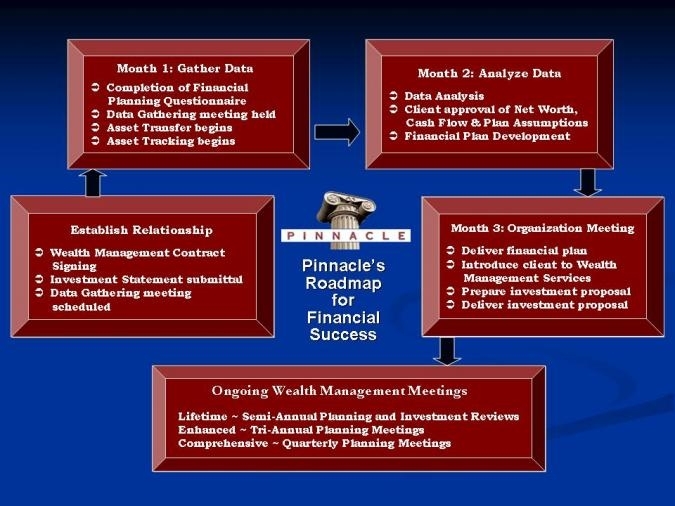 The financial plan is delivered and client is introduced to Pinnacle’s Wealth Management Service. Also, an investment proposal is prepared and delivered to the client.